Fishing reels can make or break your day out on the water. What are some of the favorites of fishing guides who depend on their equipment? Shimano, Lew’s and Daiwa models get the nod. 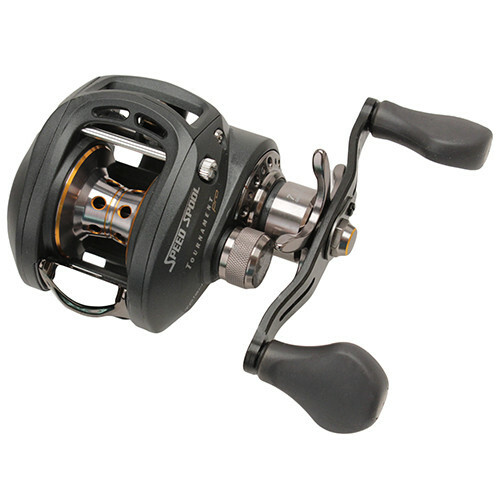 Shimano Chronarch C14 was awarded “Best of Show” in fishing reels at the 2013 ICAST show. Drag system of this is reel is noteworthy. It’s super light, smooth, and casts lighter weights with ease. Lew’s TP1SH is another reel with a great drag. The only drawback noted was cosmetic. The silver ring that goes around the shaft connecting the reel handle and reel tends to discolor, especially if used in saltwater, but it doesn’t hurt anything. A drop of oil or Corrosion X applied every other fishing trip helps prevent the discoloration. Daiwa has been a real “comer” in the last few years. The 1350 has Teflon sealed bearings, a little bit noisier on the cast, but you never have to worry about keeping ball bearings lubricated. Daiwa uses space age lubricants, what they like to call “magnetic oil” when they assemble the reels in the factory. The oil resembles any other lubricant, but put it around metal and the oil takes on the semblance of graphite gravitating toward metal pushing away any water present. It’s really good on spinning reels, preventing any water from seeping down the shaft that connects the spool and the gear box. Speaking of lubrication…don’t forget the paddles on the reel handle of any reel. Sometimes that feeling you get isn’t coming from inside the reel but from the paddles on the reel handle. Just one drop of oil behind handle paddles takes care of the problem. Also don’t forget the level wind and pawl gear. 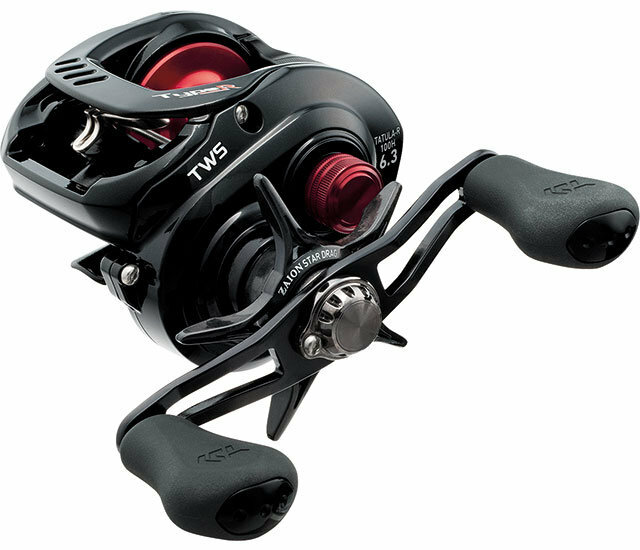 One of the newest innovations in reels is the Daiwa Tatula type R. The reel has a split level wind. Push the thumb bar down and the level wind opens up. No drag or restriction at all on the cast, increasing casting distance. Turn the handle and the level wind comes back together keeping the line inside the guide perfectly.